Symphony Space, New York, New York --- From Nashville to Brooklyn, and from bluegrass to blues - join us on April 25th for this mini-marathon in celebration of Johnny Cash by a renowned collection of over two dozen bands and performers still paying tribute to him today. Sierra will be featured alongside Alison Brown and her all-star bluegrass band paying tribute to the Man in Black. 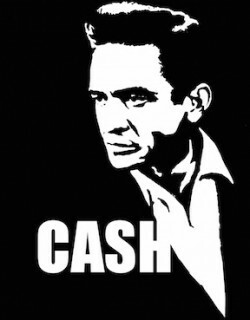 LOVE & DEATH (4pm-7pm) - Cash's two great themes, with heartfelt and heartbreaking mingling of his explorations of the darker side in songs like "Delia's Gone" and "Ain't No Grave." Part II PRISON & THE MAN IN GRASS (7:30pm-11pm) - Songs with an outlaw heart, including a full set from the iconic live album "At Folsom Prison," plus a bluegrass celebration of Cash led by Grammy-winning banjo player Alison Brown and an all-star band.